As the name implies, GoodSync is more than a backup service. They provide a well-rounded set of features designed to help users backup, restore, transfer, sync, and share their data online. As a non-subscription service, they carry the advantages of allowing users to access their data anytime and anywhere in the world. A few other services focus purely on backups, but GoodSync does a good job of creating comprehensive service offerings that will take care of most users’ needs. Before we dig into the details of their features, let’s take a closer look at their pricing plan. Note that each of the different versions only include one license per computer with exception to the enterprise-class service. The encryption features in GoodSync are more than adequate, and they’ll help ensure that your data is backed up in a secure format. 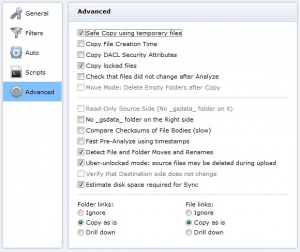 Not only does it provide a way to encrypt the file and folder names, but users can even encrypt the bodies of the files with separate keys. It even has the ability to encrypt an entire tree within the filesystem to a single, uniformly encrypted chunk of data. Users would do well to remember that they should always encrypt their files before transferring them over the public Internet, which is a necessity if you are using P2P technologies. The speed really wasn’t anything spectacular, but it wasn’t completely awful, either. I tested the speed of their local backup service since the speed of syncing operations and file transfers are dependent on local network bandwidth, WAN bandwidth, which ISP you use, etc. All in all, I was able to create a backup of a 135 MB file of my favorite video program within 17 minutes. While this may sound like a long time, realize that this is many times faster than services who provide local encryption (they can take closer to forty minutes to back up the same file). I honestly felt that GoodSync didn’t provide as many advanced backup options as many of their competitors. Then again, understand that they aren’t designed to be a service purely focused on backups. However, they do certainly provide the features most have come to expect such as the ability to schedule backup jobs. 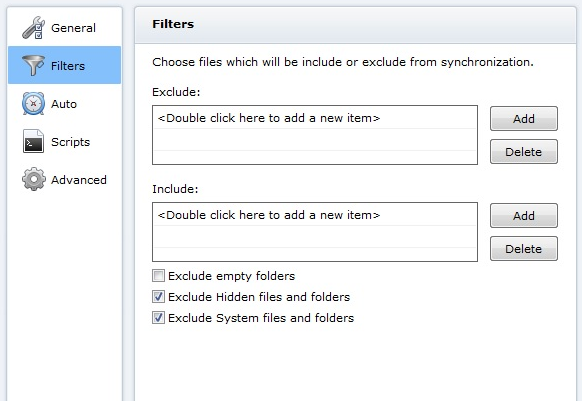 Users can also create complete system backups or selectively pick and choose files that they want to backup. The restoration features are also pretty typical and mundane. 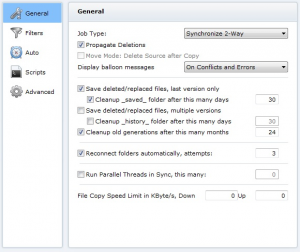 Users can backup files and folders manually or pull from an entire system backup. They also have version checking features that automatically run to make sure you don’t accidentally delete or restore a file or folder to an unwanted version. It seems that even though they offer competent support for their software, they don’t go the extra mile like some of their competitors do. For example, a lot of competitors offer a live chat system in addition to lightning fast response times. While they do offer the typical manuals, FAQs, tutorials, and knowledgebase articles, they also offer a support telephone number to call – but it is not a 24/7 service. Alternatively, users can send an email to open a support ticket. So all in all, it seems that their support is scraping by with the bare minimum. 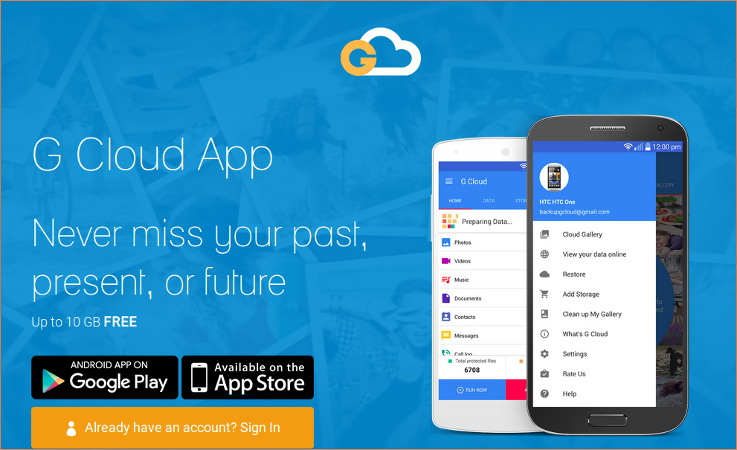 In my opinion, I think GoodSync is a great option for people who need a well-rounded service with all the typical features such as backups, restores, file syncing, and the ability to share data with their friends. However, if you are more focused on using a backup service, I would recommend you look elsewhere. Even cloud based backup services like SpiderOak offer a lot more flexible and detailed backup options and have more reliable support. Though many of these services are on a monthly subscription model instead of a one-time fee, can you really put a price on the security of your data? 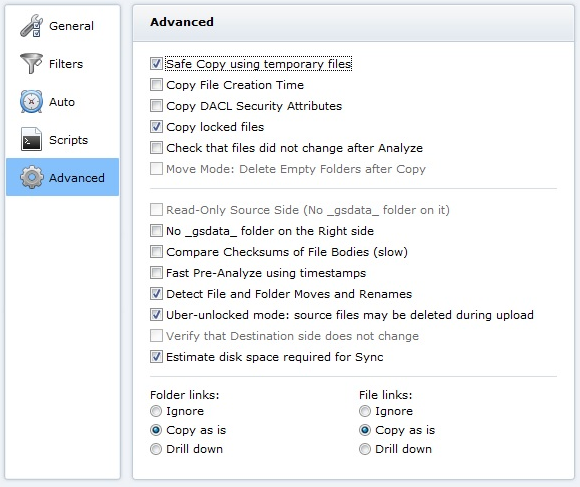 On the other hand, if you only need a backup utility with moderate flexibility and features, GoodSync is a great and cost-effective solution – so long as you only need to use it for a single computer. My understanding is that if Goodsynch were ever hacked and Goosdynch Connect passwords were compromised, then all someone would need to do to obtain the entire contents of your personal computer is to list is your computer on their synchronization list!